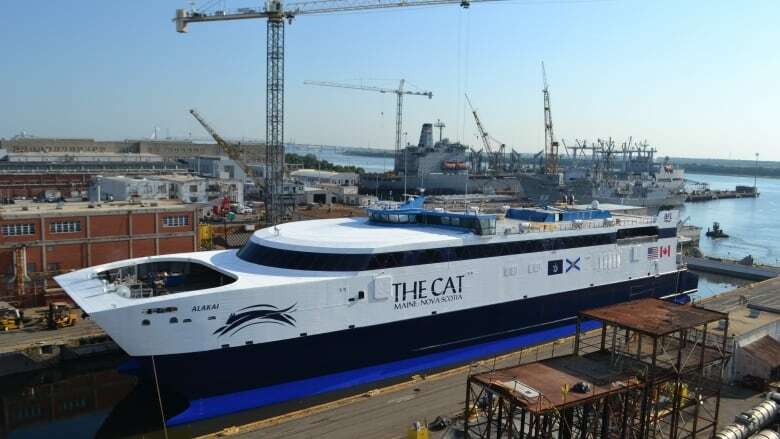 Lawyers for Bay Ferries say the Progressive Conservatives botched their chance to challenge a freedom-of-information ruling denying their request to reveal the company's management fees for operating the ferry service between Yarmouth, N.S., and Maine. The Tory caucus has asked a judge to order the Nova Scotia government to turn over the information after the Transportation Department rejected a recommendation from the province's privacy commissioner to release the management fee to the party and reporters from AllNovaScotia.com and Global News. Scott Campbell, a lawyer for Bay Ferries, argued Tuesday in Nova Scotia Supreme Court in Halifax that the Tories did not file their paperwork correctly and so the matter should be thrown out of court. The argument centres around a section in the Freedom of Information and Protection of Privacy Act that states a person has 30 days to bring a final ruling to court to challenge it. The legislation also stipulates the action must be carried out by a person. Because the Tory paperwork was filed in the name of the caucus, and not the staff member who filed the initial application, Bay Ferries contends the process was not followed and the 30-day limit has subsequently expired. Campbell told reporters he was not authorized to offer comment on the case. The Tories have agreed to amend their paperwork in the name of the staff member who filed the initial request. Nicole LaFosse Parker, legal counsel for the Tory caucus and chief of staff to party leader Tim Houston, said she disagreed with the company's position the matter should be thrown out. "I think it's a delay tactic," she said. LaFosse Parker said the party filed its paperwork several weeks ahead of a March 1 deadline to do so, giving ample opportunity for anyone with a concern to voice that ahead of time. The two sides will be back in court April 1 for further arguments about the freedom-of-information ruling on the Bay Ferries management fees.